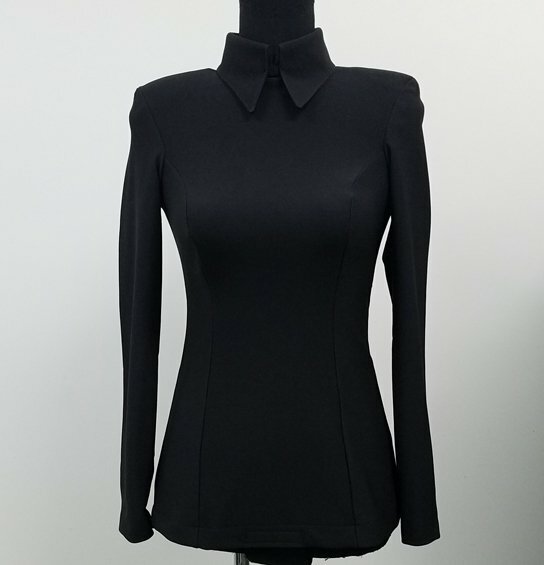 Blank back zipper horsemanship blouse, ideal for embellishing. Black Ottoman stretch knit body, full back zipper, velcro crotch strap, shoulder pads. Ideal for embellishing. Sizes XXS - XXL. Hand/Machine wash, line dry.